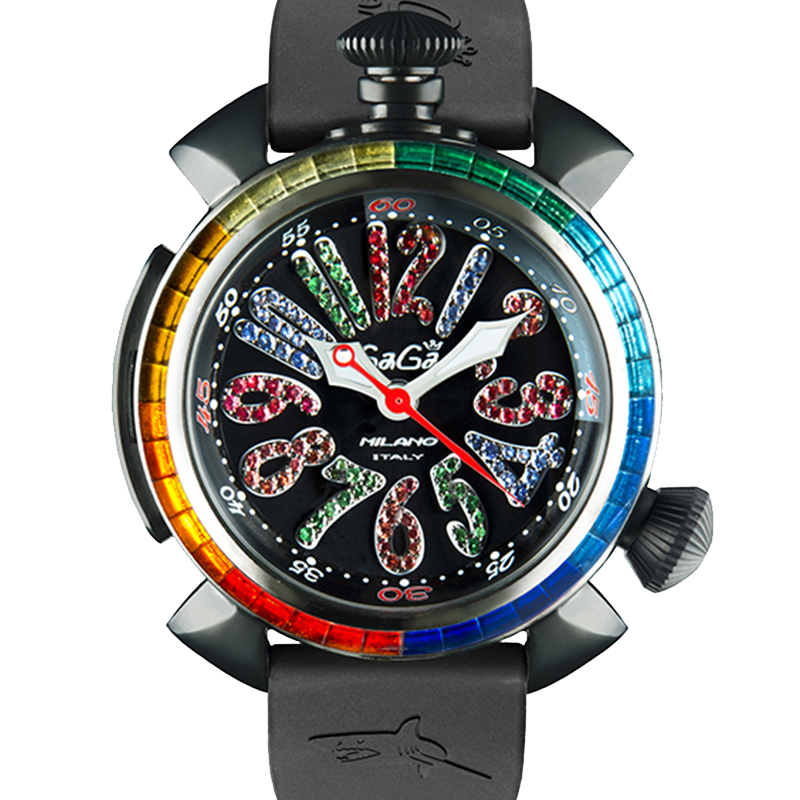 Black enamel dial, black gold numbers in applique with multicolour sapphires and green tzavorite. Titanium case with black pvd treatment, helium valve. Brushed dial with metal arabic numbers and luminescent hands. 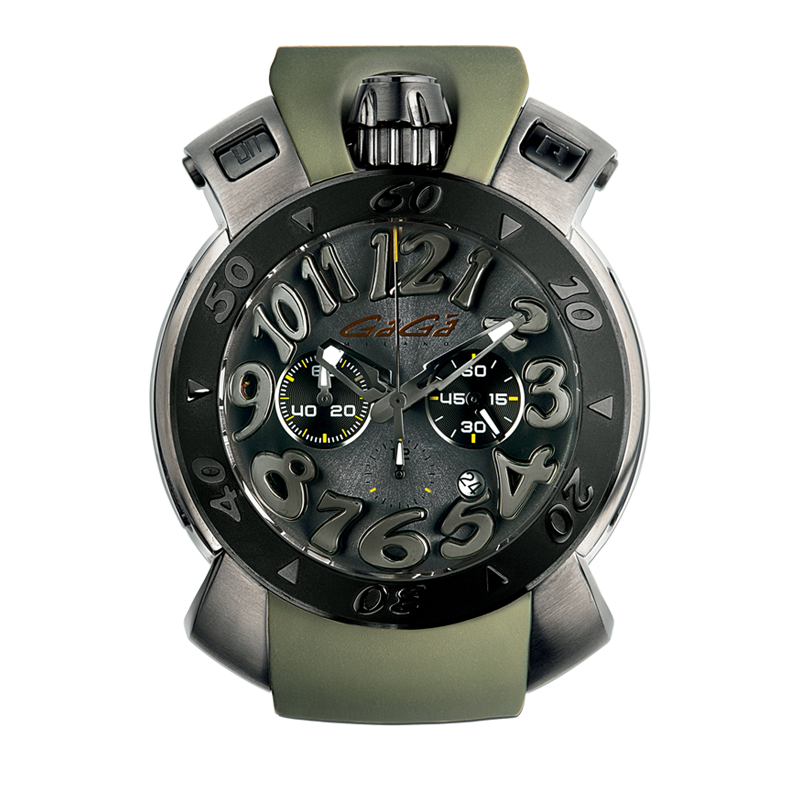 Steel case with gun pvd treatment, the external bezel rotates and the screw caseback has engraved the dom of milan. The chronograph buttons are protected by openable lugs. 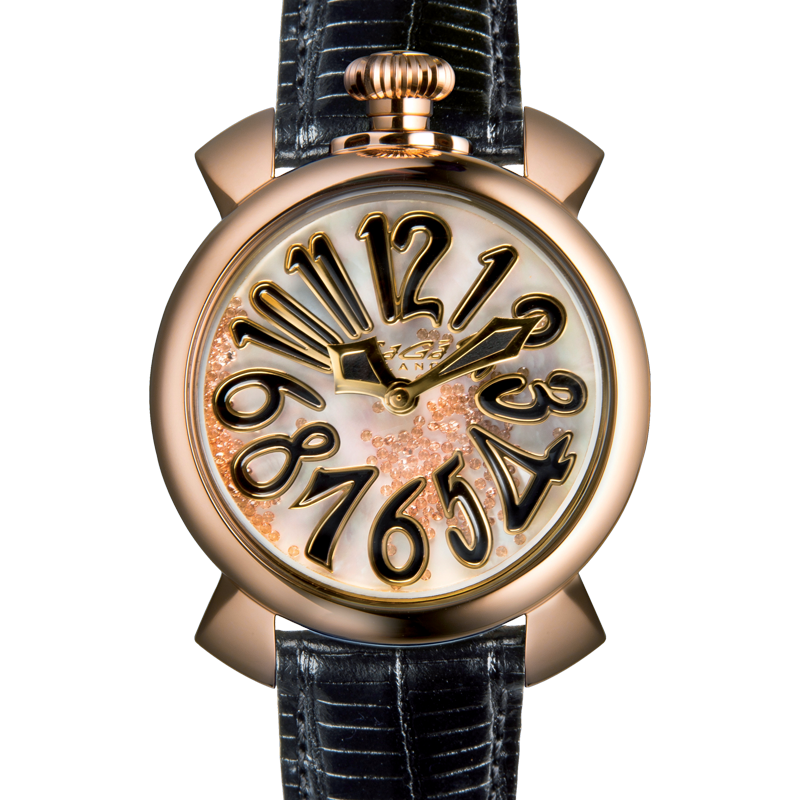 Mother of pearl dial with black arabic numbers, floating diamond-cut stones on the dial and yellow gold plated hands. 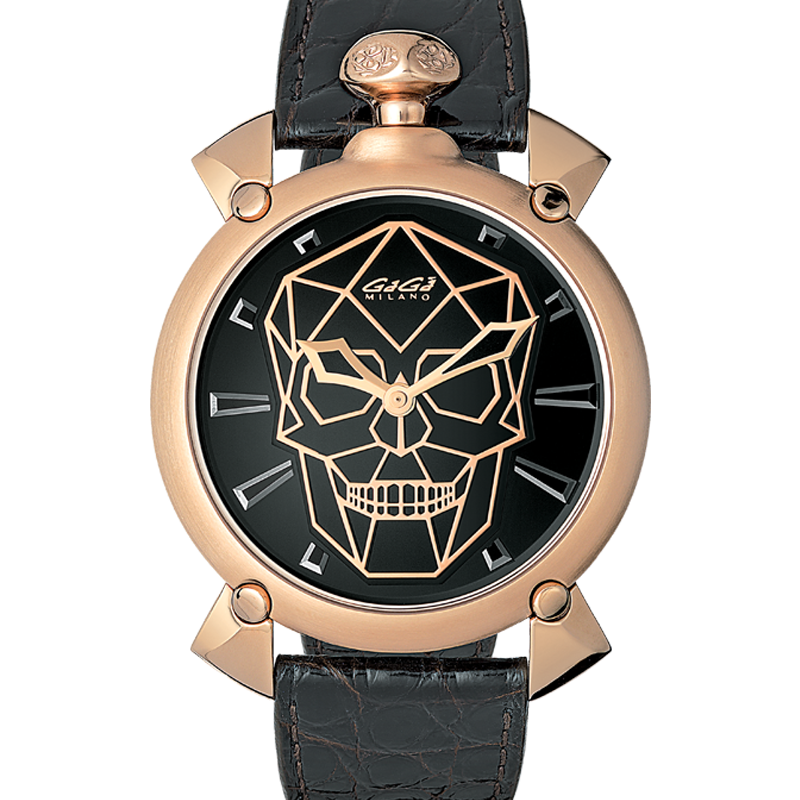 Black enamel dial, indices and skull in applique, metal frames and rose gold hands.